Echoes From the Caverns – 08-31-2018 Google Hangout is about to go live. 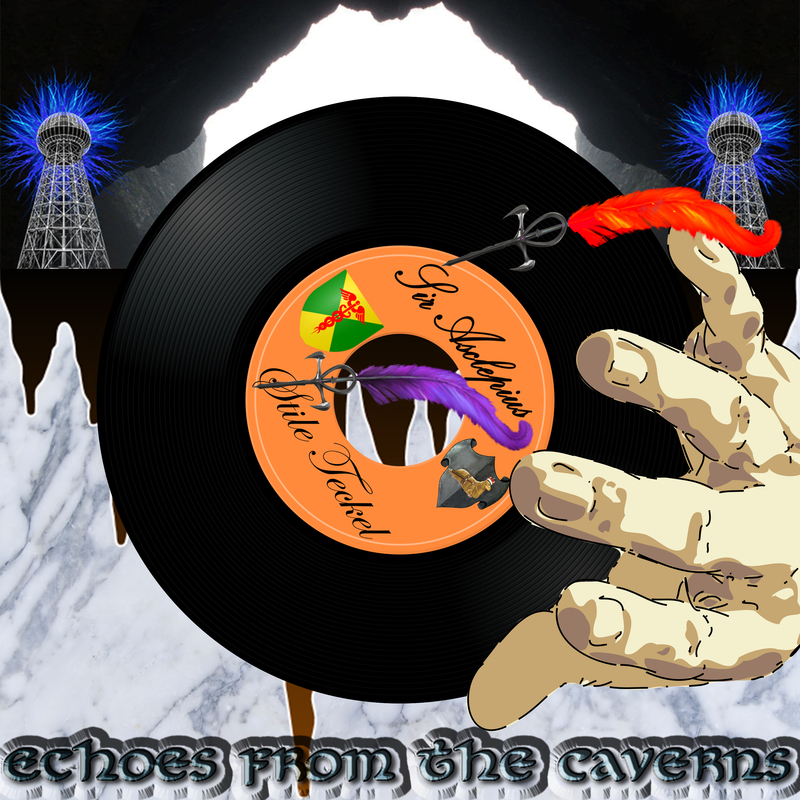 Echoes From the Caverns – 08-24-2018 Google Hangout is about to go live. He motioned for Emily to come over and whispered to her. The lady turned and gave Bella a smile and headed to the stairs. After a few minutes the girl came to the edge of the staircase and called out to Bella. “Lady Belladonna your bed is ready. Please follow me.” And away she was gone. Belladonna went up the steps one at a time. Fatigue was about to win her over. Once she got to the top she saw a curtained off area and several beds..a couple occupied. As she walked towards Emily her heart jumped to her throat. How was she supposed to tell this girl such horrible news? Walking up to Emily she lay a hand on the girl’s shoulder. Looking up into Belladonna’s face Emily knew somehow this was not going to be good news. A tear slid gently down her face and she hung her head. “I am so sorry dear.” Pulling the sword out from under her cloak she presented it gently to Emily. Taking the sword from Bella she hugged it tightly to herself. Walked over to a chest hidden in the corner. Unlocking it she opened the lid and gently placed the sword inside. After locking it safely away she stood. Brushed off her dirty apron and wiped her eyes. “Yes indeed. It is sad. But he knew what he was doing. He knew the risks and we both agreed that it was for the best of the world that he go and help those other poor souls. Do not feel sorry for me My Lady. I will be fine.” Emily smiled softly and turned away heading back down stairs. 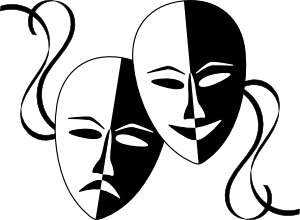 Belladonna sat on the edge of the cot and hung her head in fatigue. These poor souls have no clue what is going on out there. Yet they keep up the fight and dig in to survive. Truly admiring these people, she decided now…that she had to do what she could to help. No matter what the Oracle or Lady Arabella says she would stand her ground and fight.. Shedding her dirty clothing she slipped quietly into the small hip tub and washed. The water was tepid, but she did not care. It was water, clean and felt good against her weary body. Wrapping herself in a makeshift towel she sat on the cot again, pulled the blanket back and lay down. Sleep….this is what she needed. Somewhere a rooster crowed. Tiny cracks in the chinking of the wall let in the smallest bits of light and from the sounds below she knew it must be morning. Rolling over she looked about the room. No one was in sight. She stood with the blanket wrapped around her to stave off the cold. Peering around the room more she noticed now how rather clean it was. She had seen worse. She reached for her clothes that had magically appeared at the foot of the cot. Not what she was wearing. Maybe there had been a mistake. Stepping to the edge of the staircase she leaned down and got Emily’s attention. The young girl smiled and came half way up the stairs. Without Bella even asking Emily informed her that the Lady Arabella had brought her a change of clothing and that her other belongings were in a pack next to the bed. She also told Bella that she would have her some food as soon as she came down stairs. Shocked a bit she crept back and put on the clothing. A worn but fine cotton shirt. So soft to the touch. Leather tunic, pants and a fine pair of boots with matching gloves. All worn but well cared for items. She wandered to herself they belonged to and then quickly decided not to. More than likely some poor soul that did not survive Solace Bridge. Taking stock of her belongings she grabbed the pack and sword and headed down below. There at the long trestle table seated a few local folk and one lady patted the seat next to her. She slid onto the bench and looked about. Worn, tired yet friendly faces met her gaze. A few introduced themselves and she did the same in return. One particular man looked warily at her. With that said many around the table and the room itself turned their heads away and looked broken again. The fear and despair could be seen in their eyes clear as day. Bella took up her cup and took a drink. Yuck. What in the world is this she thought. Tasted like muddy water. Oh well. She reached for a chunk of bread and small wedge of cheese. As she nibbled away Emily walked over and place a steaming bowl of something in front of her. The steam from the bowl brought a smell she hadn’t smelt for a long time. Stew. Mutton stew. Everyone at the table chuckled and went back to their own meals. Digging into the stew she ate with a robust appetite. Not as good as Aletta’s but it still worth eating. This bowl would not make it to the slop bucket for sure. After a few moments the innkeeper, Richard, brought her a note. Licking her fingers in the most unlady like manner she bid all a good day, grabbed her pack and headed to the door. As she stood there Richard pointed to the left gesturing for her to make her way down the road. Pulling her pack onto her back she stepped down and started in that direction. There seemed to be a few folk milling about the streets. A beggar or two, a few children running about. Seemed pretty quiet and peaceful. As she walked down the muddy road she saw Lady Arabella ahead. Waving enthusiastically. This woman was so strange. Amidst all the chaos and death she seemed to hold a light in her soul for the good. That much energy must be tiring all the time Bella thought. Bella smiled softly and stood next to the lady. Arabella took her by the arm and pulled her towards a tent that covered a smithing forge. There she saw a well-built woman covered in soot and sweating. This must be the local smithy. Strange for a woman to do so but with what was going on it made sense. Belladonna could not help but to laugh. It was nice to see a woman secure in her craft and in her efforts she puts forth. Too many has she seen that took the easy way. Not that being a woman was all that easy. No matter what profession a woman had to work hard at it. Annika looked Belladonna up and down taking measure of her build. And clucking her tongue here and there as she turned her around, poked her in her middle and looked sharply at her features. “Aye. I should have something that I can make fit ‘er. Might take me a bit to get it done though. Belladonna wriggled and straightened her clothing back in place. Shrugging she pulled the sword out and handed to her. She felt a bit self-conscious of the blade but it ‘was’ given to her. Feeling a bit insulted Bella yanked the sword back and started to think twice of the smithy. The smithy snorted and wiped her nose with her sleeve. Looking a bit sheepish for her accusations. Reaching out her hand she took the sword back and told Bella she would have it ready along with the armor as well. Smiling as usual Arabella took her by the arm and waved to a man across the road. She was determined I think to introduce her to everyone in town. Echoes From the Caverns – 08-17-2018 Google Hangout is about to go live. Turning and leaving the tent Bella noticed that Stanley was standing at the edge of the road. She walked up next to him and touched his shoulder slightly. Knowing somehow that things weighed heavy on his mind and heart. Such a task for such a young man. But for some reason she felt he was capable. “Captain. What of these swords. What should I do with them. And I have this note as well from one of the fallen guards.” She showed the swords to him and the note. Her shook his head and swore under his breath. Apparently, he knew who the sword belonged to. And told her to look for Emily. Either in the camp or the Inn. She would have to break the news to her alone. He needed to write a dispatch for Commander Cugel and find a courier. As for the note she held it would have to be delivered to Celestis. The woman, Zorabeth resides there. Walking away he headed towards the town. Bella followed a few steps behind him. The path into Soltown was a solemn walk. Stanley made an even-tempered walk towards the entrance. Knowing what he had to do Bella did not regret that part. Asking for help was not always an easy task for anyone. Especially one who was in charge of so much. She looked about at the homes along the road. Some fancy some plain. And many had their hawkers out selling wares to would be travelers. Having only a few coin in her pocket she though best to just hold on to it for now. She would assess what Captain Stanley finds for her and go from there. As she approached the gateway into town she noticed a man waving to her. She walked up and introduced herself. Frowning at the man she just did not understand why everyone kept calling her Outlander. It was beginning to get a bit annoying actually. And she had only been of this world for two days. Maybe it was obvious she was not from here. Looking down at her attire that very well might be the case. Looking at the man she could see fear and sadness in his eyes. Something terrible indeed has been happening here. Shaking her head, she smiled at him weakly and turned towards the inn. A few people walked about aimlessly. Guards walked about with that lordly manner like they were better than the rest. She thought to herself the faster she got out of here the better. Her temperament would not last long with the likes of some of these people. Arabella looked up. Sadness in her eyes as well. Bella thought to herself that she would never get used to that look. But just as quickly a sparkle appeared in Arabella’s eyes. Nodding her head, she turned and walked up the rickety stairs into the inn. The air was stale and reeked of moldy bread and old ale. The floors were littered with leaves and dirt. As hard as the barmaid tried to clean it seemed useless. She walked up to the counter and cleared her throat to get the innkeeper’s attention. Standing with his back to her he continued to clean the mugs with a dirty cloth. Rolling her eyes, she knew how this was going to be. She had been in enough dirty dank taverns to last her a lifetime. Again, she cleared her throat and finally the portly man turned. 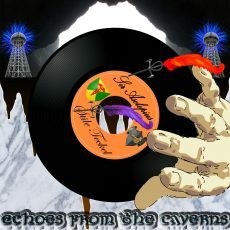 Echoes From the Caverns – Google Hangout About to go Live! Echoes From the Caverns – 08-010-2018 Google Hangout is about to go live. Waving with a small smile Edvard then turned and walked back up to the bridge. Standing in the middle he watched as the boat made its way down river and as the sun became hidden behind the mountain. Strange sounds started up again throughout the forested area. Soon the creatures would be on the prowl again. Charlotte curled up as close to Bella as she could. It was hard to row the craft with the child nestled against her so closely but she did her best. Edvard did not lie about the dangers of the darkness. She could hear the moans and screams coming from the river banks. Rustling bushes and brush as things seemed to make their way out into the dark. This alone made her want to row faster but she was beginning to falter in her strength. She was so tired. Much had happened to her this day. No time to rest. Must get to Soltown. Where is Soltown? Exhausted she kept rowing praying with every stroke that she did not fall asleep or worse. Hours in the darkness eventually became less as the sun began to creep up through the trees. She had been at sea so long that she forgot how long it took for the sun to rise. Having not been on land much of late she needed to get her bearings again for life on land. The river began to narrow putting the banks much closer to the boat. This worried her a bit…but the noises from the forest became less and less with the rising sun. Up ahead she saw the faint light of torches. Light that will soon be extinguished once the sun was out. And there …..a dock. This must be the place. Please let this be the place. A man in strange armor stood at the end of the dock. Turning his head he saw the boat and waved them forward. As if she was not doing that already. Bumping along the edge of the dock the man reached down and gained hold pulling them up closer. He pulled the tether from inside the boat and tied it to a post. Reaching down he put his hand out to help her onto the docks. She waved him off and hoisted the child up to him. “Take her please. We have just come from Solace Bridge. Edvard bade me to bring here here to her mother. I am Belladonna Rose, the Avatar.” Blinking she was not sure if this was how she was supposed to introduce herself or not. No one said otherwise how she was to do so. No matter. Titles were not that important save one. And seems that one is long lost. Bella honestly could care less about thanks right now. All she wanted was hot food and sleep. Hopefully this woman will take pity on her and give that much. Smiling softly she followed Stanley across the road to the camp. Looking about she saw several tents and people milling about a roaring fire. Many children scampered about playing at being guards. From the looks of things they got away from Solace Bridge with barely the clothes on their backs. Which she knew how that felt. That was all she had. The refugees saw Stanley and ran to him….huddling around him like vultures. He pushed his way past them to the far tent. A tall woman came to the entrance of the tent and gasped as Stanley approached. Handing the child to her she hugged the girl tightly. Crying out to the skies she turned away with the child. Many of the others cheered and applauded. Among their own despair they were happy that at least one of them had some happiness returned to them. Stanley went to the fire and gave a short account to the people. Telling them of Bella’s journey from Solace Bridge. He told them he had news from Edvard and was going to send a dispatch to Cugel in Ardoris. They were saddened by the news. Solace Bridge had fallen. Now they had to decide what to do and where to go. Many had already left. Making way to other places throughout the lands. Some to smaller towns some to outlying areas. The pilgrimage from Solace Bridge for some would lead them far and wide. Some would stay close just for the memory or just because they had lost all hope. Seeing this in their faces caused a pang of regret in Bella. But that is what the Oracle said. She said that she would feel regret, sorrow and many other emotions as she travelled the lands. Forsaken Love. This is the path she was on. To restore Love to the people. How the hell was she supposed to do this. She stood by the fire as the refugees walked by patting her softly on the back or giving her a quick embrace for what she had done. As they did so she watched the woman…Abigail..tuck her daughter under a blanket on a rickety cot. The woman turned and motioned for Bella to come to her. Walking into the tent she saw there was very little here. A sack which was probably all she owned. The woman fumbled in her pocket and reached out to Bella. Taking her hand she placed a handful of gold pieces in her hand. Looking down at the pittance she looked back at the lady. Sorrow and what looked like shame crossed her face. Nodding and smiling the lady took the gold and put it back in her pocket. Little that it was it might be enough for food to get her and her child elsewhere. She would figure the rest out later.